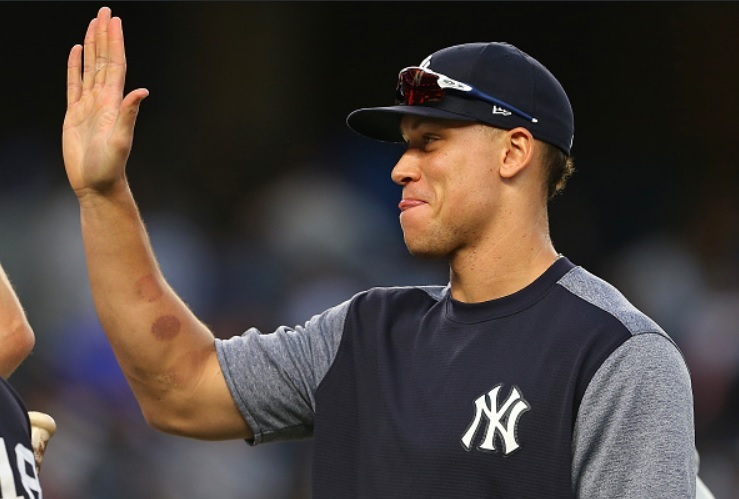 It seems that the Yankees could be very close to getting their all-star right fielder back. Earlier this afternoon, Aaron Judge completed a simulated game at Yankee stadium, where he had 11 live at-bats. The Yankee slugger hit against A.J. Cole, Chance Adams, and left handed minor-leaguer Phillip Diehl. Judge is hitting .285 this year, with 26 home runs and 61 RBIs. He hasn’t played since July 26, when he suffered a wrist fracture after being hit by a pitch. Additionally, Aroldis Chapman threw a simulated game consisting of 22 pitches to Tyler Wade and Kyle Higashioka. Both Chapman and Judge successfully completed their simulated games without any issues.